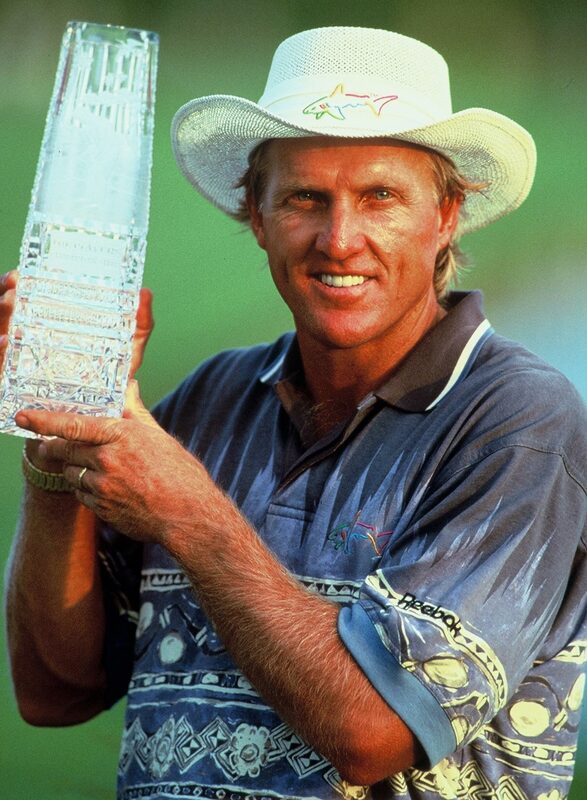 Greg Norman authored a remarkable wire-to-wire triumph at the 1994 Players Championship at TPC Sawgrass. Norman opened the tournament with a 63 and set course records at 130 for 36 holes and 197 for 54. His final round produced a total of 24-under total of 264, six shots better than the course record. Norman opened the tournament with a 63 and set course records at 130 for 36 holes and 197 for 54. His final round produced a total of 24-under total of 264, six shots better than the course record. When Greg Norman is on his game, few stand a chance. The Australian played yet another round of exquisite golf yesterday, closing with a 5-under-par 67 to win the Players Championship by four strokes. For the third consecutive round he set a scoring record on the home course of the PGA Tour, the TPC at Sawgrass, a course once cursed by players as unplayably difficult. But Norman, drawing on his British Open triumph last summer and taking full advantage of what he called soft conditions, turned Sawgrass into his personal playground. He opened the tournament with a 63 and set course records at 130 for 36 holes and 197 for 54. His final round produced a total of 24-under total of 264, six shots better than the course record set by Nick Price last year. Norman ranked the runaway, wire-to-wire triumph "very high" among his 66 career victories around the world. "For the last two days, I drew on Royal St. Georges," he said, referring to the near-perfect final round last summer that provided him with his second British Open title. "Royal St. George's was a great advantage for me. At Royal St. George's, I played with focus and control and dedication. That's the way I played today," he said. "It's a very important win for me, playing like I did and going into Augusta" and the Masters week after next, he said. But even with all the superlatives, he failed to reach the personal goal he had set. "I've never gone through 72 holes without making a bogey," he said. "That was my goal today." He failed by the thickness of a butterfly's wing. His only bogey of the week came in the final round, on the par-3 13th, where he missed the green "with the only really bad swing I made all week." He chipped to about 8 feet and was standing over that par putt when a butterfly fluttered across his line. He didn't flinch. And he didn't back away. But the putt missed on the left. It was a bogey. But in the end, it mattered not at all. He led by four shots going into the final round, increased the margin to six on the first hole and really wasn't threatened in the front-running romp. "He was very difficult to beat," said Fuzzy Zoeller, the easy-going veteran who now has been a runner-up in his last three starts. "He played extremely well. He did everything you have to do to win. I got beat by the best in the world." Zoeller, playing in the final twosome with Norman, outlasted Jeff Maggert in the battle for second place, making birdie on three of the last four holes for a 67 and a 268 - a score good enough to win all 20 previous Players Championships. And he refused to join the chorus clamoring for changes to make the golf course more difficult. "They shouldn't make any changes," he said. "They should just pat us on the back and let us come back next year. There's nothing wrong with the course. It was just the conditions and you can't do anything about that," he said. Although Norman never appeared to be in danger of being overtaken, he could not be totally secure until he got his tee shot safely on the island green of little terror that is the par-3 17th. "It's the toughest 141 yards under pressure in golf," Norman said. But when he hit his 9-iron to within 2 feet of the flag, Zoeller gave him a high-5, acknowledging that the game was over.